We love Catalyst Arts! – Experimentation and change in Belfast. This August was in important month for Catalyst Arts, our favorite gallery in Belfast. On top of hosting their 2013 annual members show entitled “Precursor”, they are celebrating the 20th anniversary of the organization since it was established in 1993. We are both fairly new members to Catalyst and yesterday during the anniversary celebrations we learned from long-standing members how the dynamic space that is Catalyst today was first set up 20 years ago. The gallery was founded out of a desire for experimentation and exchange among Northern Irish artists and their community in the early 1990s. Given the difficult financial and political landscape in the province at the time, this desire wasn’t being addressed by any other artistic organizations in Belfast, making Catalyst one of the founding groups in Northern Ireland. Despite funding fluctuations over the years Catalyst has thrived and remains one the few democratic artist-led organizations in the whole of the island. This is shown not only in their openness towards collaboration and engagement within the group and the surrounding art community, but also in friendly atmosphere within the gallery and its members when discussing the art on the walls. 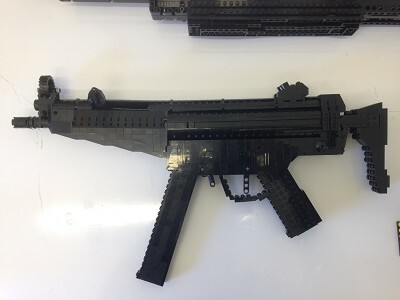 David Turner – “AK74” – Lego Rifle! Victoria Dean – “Untitled” – We saw some of Victoria’s work in Dublin this year and it stayed with us. She’s fantastic, check out her website. Grace McMurray – “Honey” – One of Patri’s faves, she is really developing a taste for textile-based work. She thinks that using textiles for art it is very relevant and quite an important statement to make. Textile-based artwork has been long consider minor and sometimes even ignored, along with the many many female artists who were and are using these materials for their work. Nathan Crothers – “Notice” – This work made us laugh the most and we felt bad for the works placed next to it. Ian Wieczorek – “Business as Usual” – Patri’s favorite work. Great photos of industrial dereliction… except that they weren’t photos. This is the first time we had seen video work of such sites and the effect was unsettling. 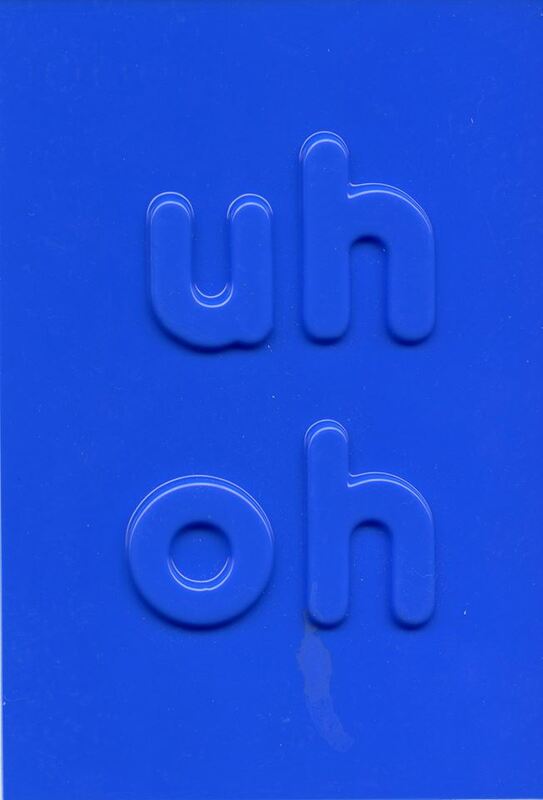 Michael Hanna – “Uh Oh” – A lot of text-based art on display, this was probably the strongest. Niahm O’Malley – “Untitled” – This was Jake’s favorite, feeding his lust for all things abstract. Phil Colins – “Wedding Photo” – We aren’t sure about the title but loved the image. Patri has done similar work within her own family photographs. Liam Crichton – “An Announcement is Being Made in Sound” – Also not sure about the title of this one but it was a very strong and humorous work. This entry was posted on August 11, 2013 by northnomads in Exhibitions, Experimental Art and tagged AnnaMaria Kardos, Art, Art photography, Belfast, Breda Lynch, Catalyst Arts, David Turner, Experimental Art, Grace McMurray, I ♥ Catalyst, Ian Wieczorek, Jake Lange, Liam Crichton, Michael Hanna, Nathan Crothers, Niahm O'Malley, Osdiasda, Phil Colins, Photography, Precursor, Tonya McMullan, Victoria Dean.